Conversations concerning justice abound, and many members of the current generation of scholars, especially those who lived through the pronounced injustices brought to light in the 1960s, continue to spearhead efforts to come to terms with this age-old virtue. The unjust treatment of members of specific ethnic groups, women, and persons with disabilities came to the front of our collective consciousness during this time period now known as much for social progress as for social excess. Although reasonable predictions lead us to believe that questions of justice will persist for generations, our answers have come a long way in forty-five years. 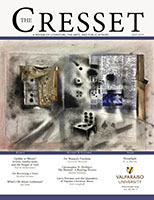 Many scholarly efforts describe justice in a manner that prioritizes theory over practice. While some philosophical questions are best answered in this manner, perhaps the very nature of justice is neither theoretical nor practical but rather embodied by their integration. Two recent studies, Michael J. Sandel’s Justice: What’s the Right Thing to Do? 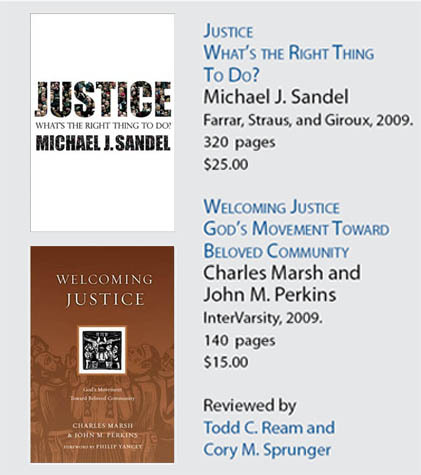 (Farrar, Straus, and Giroux, 2009) and Charles Marsh and John Perkins’s Welcoming Justice: God’s Movement Toward Beloved Community (InterVarsity, 2009), move us in this direction. Despite these books’ differences, they help us to realize that justice is a virtue that needs roots not only in a particular place and time, but also in a particular community of people. For Sandel, justice needs roots in a well-defined polis. For Marsh and Perkins, justice needs roots in a well-defined polis that is nothing other than the Church. Michael Sandel began his career at Harvard University in 1980, where he is currently the Anne T. and Robert M. Bass Professor of Government. His justice course, in which over 14,000 students have cumulatively enrolled, is one of the most popular in the university’s history—so much so that it began airing on PBS in the fall of 2009 (see www.justiceharvard.org for more details). Sandel’s previous works include his edited collection Liberalism and its Critics (1984), Democracy’s Discontent: America in Search of a Public Philosophy (1996), Public Philosophy: Essays on Morality in Politics (2005), and The Case Against Perfection: Ethics in the Age of Genetic Engineering (2007). Justice emerges as a recurring theme in many of these works, but it is the definitive focus of both his first book, Liberalism and the Limits of Justice (1982), and his most recent edited collection, Justice: A Reader (2007). In Justice: What’s the Right Thing to Do? Sandel evaluates and categorizes historical perspectives of justice based on three basic understandings. The first understanding focuses on the concept of welfare as championed by Jeremy Bentham and John Stuart Mill. Bentham claims the aim of justice is to maximize pleasure and minimize pain. Mill attempts to incorporate individual rights by proposing that if the majority respects the individual rights of the minority, they provide the most utilitarian pleasure in the long-term. Sandel’s second understanding of justice focuses on the concept of freedom, which he begins to explore by introducing Milton Freidman and the idea of libertarianism. Paramount to the concept of freedom is the ability of individuals to volunteer their consent or to deny it. Within the freedom-centered understandings of justice, battles between rival camps over the nature of the markets are fierce. The first camp, the libertarian or laissez-faire camp, proposes that unfettered markets allow for the sovereignty of human freedom by respecting and preserving the voluntary choices made by consenting adults. The second camp, the fairness camp, believes that unfettered markets require policies to correct disadvantages in the system and to safeguard true fairness of opportunity. Finally, Sandel associates Aristotle with the third understanding of justice, in which justice comes from dispersing what people deserve to those who deserve it. What they deserve is dependent on their merit, and merit is determined by an ability to act in accord with a particular telos or purpose. Sandel spends the latter portion of this book proposing two critical contributions to this discussion of justice. The first is the emphasis he places on community. For Sandel, we cannot fully make sense of our life stories without first understanding the larger narratives of which our lives are a part. In addition to the two categories of moral responsibility—voluntary obligations and natural obligations—Sandel proposes a third category of solidarity or membership obligations, proposing that an individual may possess involuntary responsibilities to those who share in the same narrative. Sandel’s second major contribution to the discussion of justice is his idea of moral engagement in the public square. He proposes that part of forging a just society is ensuring the existence of an environment that recognizes the conflicting opinions that are sure to arise, especially regarding questions of justice, which are some of the most important questions with which any society wrestles. When opinions do conflict and we seek to discover answers, it is not desirable to exclude any portion of ourselves or our respective cultures from these deliberations. In summary, Sandel writes, “To achieve a just society we have to reason together about the meaning of the good life, and to create a public culture hospitable to the disagreements that will inevitably arise” (261). This creation, both of public squares and of our subsequent willingness to view them as arenas for deliberation over matters critical to the lives we share in common, proves to be the fertile ground from which our convictions concerning justice can then grow. In Welcoming Justice: God’s Movement Toward Beloved Community, Charles Marsh and John Perkins contend that the ground from which justice can grow is the Church. In this third volume in InterVarsity Press’s Resources for Reconciliation series (edited by Emmanuel Katongole and Chris Rice), Marsh and Perkins come together to develop an understanding of the Church that is deeper and richer than more secular understandings of community. For the authors, community is a gathering of the beloved. Marsh is a professor of religion at the University of Virginia. Perkins is a civil rights activist and founder of Voice of Cavalry Ministries in Jackson, Mississippi. 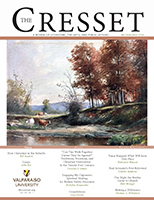 In alternating, responsive essays, the two look forward to seeing how this view of the Church community, a view first defined in this particular way by Martin Luther King Jr. can be a “new social space inaugurated by the great event of the cross where all people are invited to partake in the welcoming table of God” (102). 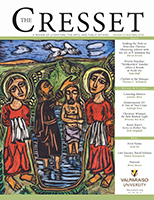 Marsh contends that the key to the movement’s ability to stay close to the ground, to live out these ideals which then make justice possible for all peoples, was closely tied to its ability to remain “anchored in the church—in the energies, convictions and images of the biblical narrative and the worshipping community” (22). Moments when the Civil Rights movement severed itself from this community also prove to be moments when the movement lost its way. As a result, visions of the peaceable kingdom were often sacrificed for the short-lived gains of violence. Marsh then contends that “Removed from its home in the church, the work of building beloved community withered and died. Unanchored from its animating vision of beloved community, the Civil Rights movement lost its spiritual and moral focus” (25). For Perkins, commitment to a place involves three different efforts. First, communities need to provide places where children can be valued members—places that affirm that the future matters. Second, communities need to provide places that are beautiful—places that affirm that the present matters. Finally, communities need to provide places for people in the present to get to know one another—places that invite them not only to draw upon the wisdom of the past but also to plan for the future. Stemming from the vision of the beloved community, Marsh offers that “It may sound simple, but I think you’ve got to have neighbors you talk to and get to know before you can love your neighbor as yourself” (115). These commitments grant the kind of space that is needed for people not only to deliberate about what is just, but also to live out those convictions. If possible contexts for practice abound, including the Church, why then does it prove to be so hard to cultivate the roots of justice? Perhaps the answer has something to do with the forces now afoot in the age in which we live. In A Secular Age, Charles Taylor notes that we live in what he refers to as an age of mobilization. While the roots of justice take time and intentionality to cultivate, too often people are not encouraged or even allowed truly to dwell in a particular place. By mobilization, Taylor is referring to “a process whereby people are persuaded, pushed, dragooned, or bullied, into new forms of society, church, association” (445). As a result, forces in other places, most often economic forces, invite us to relocate in order to facilitate greater forms of financial prosperity. The bottom line is that many of us move first and foremost to places where jobs exist. As a result, the roots of justice are not given time to take hold and flourish. Perhaps the wisdom offered by Sandel and by Marsh and Perkins is that we should stay put and invest in those people who live immediately around us. We need to learn to live in a particular place and with particular people. While economic well-being is nothing to take lightly, perhaps the convictions that define the beloved community call us also to consider other vital priorities. Even through the recession we have watched some of our fellow brothers and sisters in Christ see their commitment to particular places as being greater than their commitments to particular professions. Although these decisions proved difficult, they decided that the core of their identity was more closely tied to the people with whom they lived than their commitment to a particular form of work. We may learn from these decisions, however painful, as we seek the places where justice may flourish. Todd C. Ream is Associate Director of the John Wesley Honors College at Indiana Wesleyan University. Cory M. Sprunger is a student in the Honors College and Indiana Wesleyan’s student body president.